It’s that song that you turn off when you’re in your car by yourself, but you know that when that first note plays you’ll be swaying side-by-side with the stranger next to you at the bar, baseball game or birthday party. It’s that song that brings every New Englander together for some unknown reason that doesn’t really make a lot of sense (Neil Diamond isn’t even from New England). 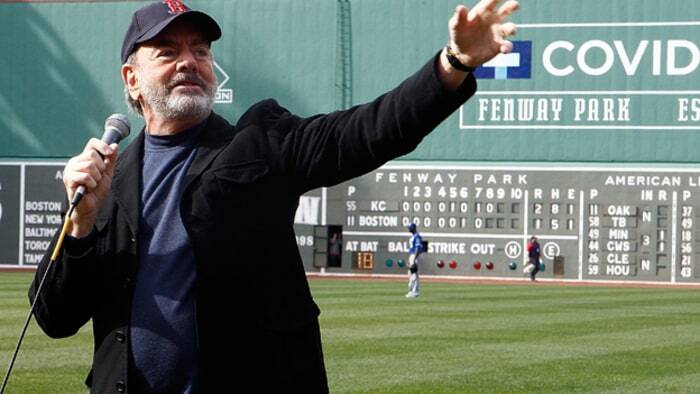 Neil Diamond’s song “Sweet Caroline” was created in 1969; however, the song didn’t become the heartthrob classic for Red Sox fans until the 1990s. The reason is unclear as to why this song became so popular and a staple part of every Red Sox game, but it is certainly here to stay. Every person from Boston, old or young, learns the words, stands and sings to the tune no matter where they are. According to the Red Sox website, the song was apparently just played during the seventh inning stretch one day during a home game. The woman in charge of selecting songs had recently had a daughter named Caroline and chose the song based on that. Little did she realize that people would go wild for it in the stands. After that, the song was played during the seventh inning stretch, or at least during every home game, ever since. The song doesn’t really have any actual significance to Boston. Neither the lyrics nor the melody have anything to do with baseball, Boston or anything related. However, the song has something to do with coming together, and it does just that for millions of Red Sox fans and New England residents. Whenever it comes on, hands will be touching hands and screaming “So Good” three times, each one louder than the last. I never really thought about how much the song truly means to Boston until after the Boston Marathon bombings in 2013. This song is one that is so ingrained in every person from New England that it is associated with being an anthem of sorts: a song where we stand, sing and interact with one another in a way that we wouldn’t without it. Everyone in the country knows it too. After the bombings, the New York Yankees played “Sweet Caroline” at their game against the Red Sox, a known rival in Major League Baseball. They recognized it as a song that holds true to the New England spirit and as something that everyone holds with utmost respect and importance. I’m not saying that the song is competing with the national anthem, but for some New Englanders, it certainly might come close. “Sweet Caroline” is not just a song to any Bostonian, and it has become a staple part of who we are as a sports fans and even residents in general. The song represents this idea of bringing people together, and no matter how or why the song entered our lives, it will always be a part of everyone from New England.